DAIMONOLOGIA: Do Orthodox Icons Depict UFO's? 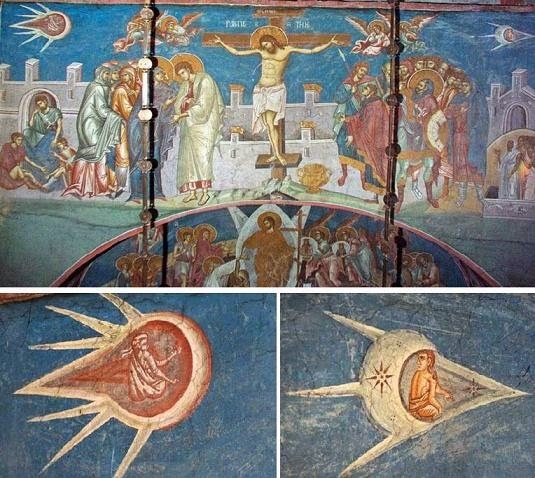 For example, the icon shown in above from Decani Monastery in Kosovo of the Crucifixion of Christ does not depict alien spacecraft, as UFO theorists are eager to point out, but personifications of the sun and the moon, of which the Gospels say gave no light for a certain period of time while Christ was on the Cross. Ancient art, especially Greek and Roman, often personified such things as water, the sun, the moon, the earth, the planets, virtues, vices, and other such things. This is because in languages like Greek they take on either a feminine or masculine name. For example, the Greek word for sun (o elios) is masculine and the word for earth (e gi) is feminine; in iconography they would thus be depicted as male for the former and female for the latter. Regarding the icon of the Crucifixion, when the Gospels say the sun was darkened at the Crucifixion of Jesus, in Greek it thus reads as if the sun is a male object that hid its light, and in this way it is depicted. 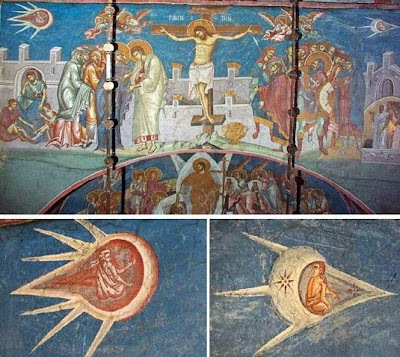 Are there any traces of UFO's in Orthodox iconography? 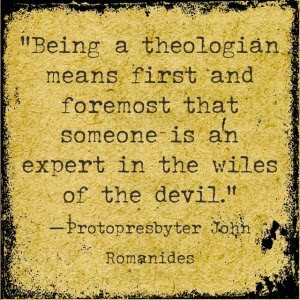 The answer is emphatically NO! Everything cited by paranormal "experts" and UFO theorists as depictions of UFO's in icons is bogus and based on unwarranted ignorance. Such misleading theories go back to the hugely successful book Chariots of the Gods written in 1968 by Erich von Däniken.